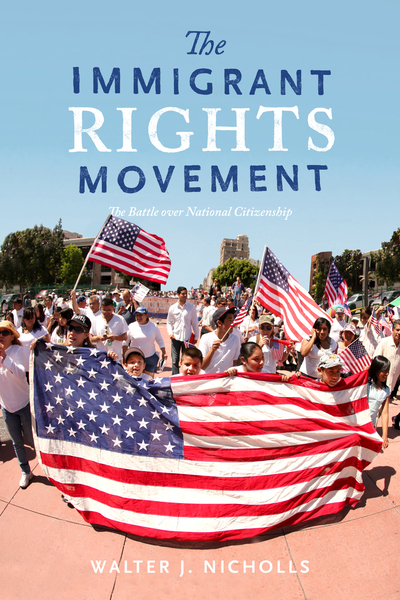 (2019) The Immigrant Rights Movement: The Battle Over National Citizenship. Redwood City: Stanford University Press. (2016) Cities and social movements: Immigrant rights activism in the United States, France and the Netherlands, 1970-2015 (with Justus Uitermark). Oxford: Wiley-Blackwell, Studies in Urban and Social Change series. 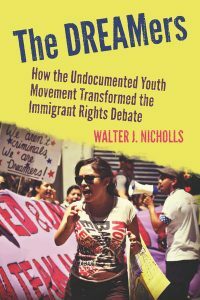 (2013) The DREAMers: How the Undocumented Youth Movement Transformed the Immigrant Rights Debate in the United States. Palo Alto: Stanford University Press. 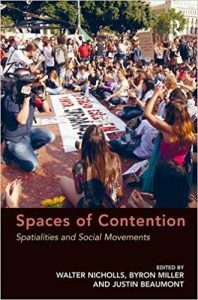 (2013) Spaces of Contention: The Spatialities of Social Movements, (edited with Byron Miller and Justin Beaumont). Aldershot: Ashgate. Walter Nicholls and Justus Uitermark (2016) “Migrant Cities”, Journal of Ethnic and Migration Studies, 42 (6). Walter Nicholls, Byron Miller, Justin Beaumont (2013)“Cities, Spatialities, and Politicization”, Urban Geography, 34 (4). Justus Uitermark, Walter Nicholls, Maarten Loopmans (2012)“Cities and Social Movements,”Environment and Planning A, 44 (11). Justin Beaumont and Walter Nicholls (2008) “Plural Governance, Participation, and Democracy in Cities”), International Journal of Urban and Regional Research, 32 (1). Walter Nicholls and Justin Beaumont (2007) “Investigating the Geographies of Justice Movements”, Environment Planning A, 39 (11). 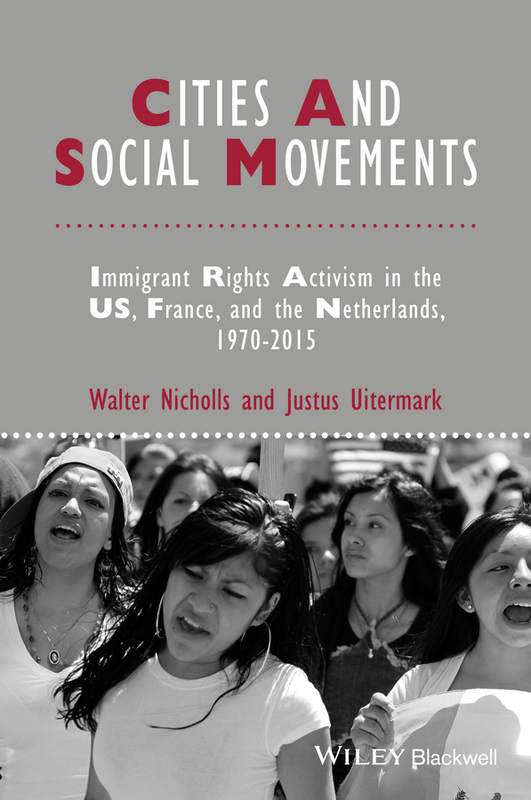 Walter Nicholls, Justus Uitermark, and Sander van Haperen (2019) “Going National: How the Fight for Immigrant Rights Became a National Social Movement,” Journal of Ethnic and Migration Studies. van Haperen, Sander, Walter Nicholls, and Justus Uitermark (2018) “Building Protest Online: Engagement with the Digitally Networked #not1more Protest Campaign on Twitter.”Social Movement Studies2837:1–16. Justus Uitermark and Walter Nicholls (2017) “Planning for social justice: Strategies, dilemmas, tradeoffs,” Planning Theory, 16(1): 32–50. Walter Nicholls, Marcel Maussen, Laura Mesquita. (2016) “The Politics of ‘Deservingness’: Comparing Youth-Centered Immigrant Mobilizations in the Netherlands and the United States.” American Behavioral Scientist. 60(13): 1590–1612. Tara Fiorito and Walter Nicholls (2016) “Silencing as Voice Making: Backstage Methods to Produce a Public Voice for Immigrant Activists.” Qualitative, Sociology, 39 (3): 287–308. Walter Nicholls and Justus Uitermark (2016) “Planning/Resistance,” Urban Geography,38 (4): 512-520. Walter Nicholls (2016) “Producing-resisting national borders in the United States, France and the Netherlands,” Political Geography, (55) 1: 43-52. Walter Nicholls and Justus Uitermark (2016) “Migrant Cities: Place, Power, and Voice in the Era of Super Diversity,” Journal of Ethnic and Migration Studies, 42 (6): 877-892. Walter Nicholls, Justus Uitermark, and Sander van Haperen (2016) “The networked grassroots. 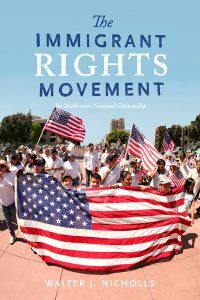 How radicals outflanked reformists in the United States’ immigrant rights movement,” Journal of Ethnic and Migration Studies, 42(6): 1036-1054. Walter Nicholls (2015) “Policing Immigrants as Politicizing Immigration: The Paradox of Border Enforcement”, ACME: An International E-Journal for Critical Geographies, 14(2): 512-521. Walter Nicholls and Tara Fiorito (2015) “Dreamers Unbound: Immigrant Youth Mobilizing,” New Labor Forum, 24: 76-85. Walter Nicholls (2014) “From Political Opportunities to Niche-Openings: The Dilemmas of Mobilizing for Immigrant Rights in Inhospitable Environments”, Theory and Society, 43 (1), 23-49. Walter Nicholls (2014) “Between Punishment and Discipline: Government Strategies to Control Undocumented Immigrants”, Citizenship Studies, 18 (6-7): 579-599. Inge van Schipstal and Walter Nicholls (2014) “Rights to the ‘Creative’ City: The Case of Squatters in Berlin”, Territory, Politics, Governance,2 (2): 173-193. Walter Nicholls (2013) “Making Undocumented Immigrants into Legitimate Political Subjects: A Comparison of France and the United States”, Theory, Culture and Society 30 (3): 82-107. Walter Nicholls (2013) “Fragmenting Citizenship: Dynamics of Cooperation and Conflict in France’s Immigrant Rights Movement”, Ethnic and Racial Studies, 36 (4): 611-631. Walter Nicholls and Justus Uitermark (2013) “Post-Multicultural Cities: A Comparison of Minority Politics in Amsterdam and Los Angeles, 1970–2010”, Journal of Ethnic and Migration Studies,39 (10): 1555-1575. Byron Miller and Walter Nicholls (2013) “Social Movements in Urban Society: The City as a Space of Politicization”, Urban Geography, 34 (4): 452-473. Walter Nicholls (2012) “Immigration and Citizenship Regimes: The Case of France, 1950s – 1990s”, Citizenship Studies, 16 (3-4): 511-530. Athina Arampatzi and Walter Nicholls (2012) “The Urban Basis of Greece’s anti-Neoliberal Movement,” Environment and Planning A, 44 (11): 2591-2610. Justus Uitermark, Walter Nicholls and Maarten Loopmans (2012) “A Relational Approach to Cities and Social Movements: Theorizing beyond Rights to the City,” Environment and Planning A, 44 (11): 2546-2554. Walter Nicholls and Justus Uitermark (2012) “How Local Networks Shape a Global Movement: Comparing Occupy Mobilizations in Amsterdam and Los Angeles,” Social Movement Studies, 11 (3-4): 295-308. Walter Nicholls (2011) “Cities and the unevenness of social movement space: the case of France’s immigrant rights movement”, Environment and Planning A 43 (7): 1655-1673. Walter Nicholls (2011) “The Los Angeles School: Difference, Politics, City,” International Journal of Urban and Regional Research, 35 (1): 189-206. Walter Nicholls (2009) “Place, Relations, Networks: The Geographical Foundations of Social Movements”, Transactions of the Institute of British Geographers, 34 (1): 78–93. Walter Nicholls (2008) “The Urban Question Revisited: The Importance of Cities for Social Movements”, International Journal of Urban and Regional Research, 32(4): 1468-2427. Walter Nicholls (2008) “Plural Governance, Participation and Democracy in Cities,” (with Justin Beaumont), International Journal of Urban and Regional Studies, 32 (1): 87-94. Justin Beaumont and Walter Nicholls (2007) “Between Relationality and Territoriality: investigating the geographies of justice movements in The Netherlands and the United States”, Environment and Planning A, 39 (11): 2554-15574. Walter Nicholls and Justin Beaumont (2007) “An Introduction to the Geographies of Social Justice Movements,” Environment and Planning A, 39 (11): 2549-2553. 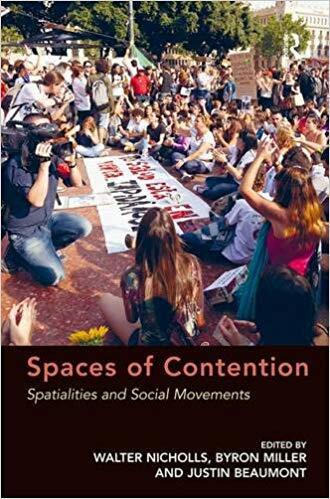 Walter Nicholls (2007) “The Geographies of Social Movements”, GeographyCompass,2 607-622. Walter Nicholls (2006) “Associationalism from Above: Explaining Failure in the Case of France’s La Politique de la Ville”, Urban Studies, 43 (10): 1779-1802. Walter Nicholls (2006) “Between Growth and Exclusion in Technopolis: Managing Inequalities in Toulouse, France”, City and Community, 5 (3), 319-345. Walter Nicholls (2006) “Power to the Periphery: Suburban Empowerment in Toulouse, France”, Environment and Planning A, 38 (9): 1715-1737. Walter Nicholls (2005) “Power and Governance: Metropolitan Governance in Contemporary France”, Urban Studies, 42 (4): 783-800. Walter Nicholls and Justin Beaumont (2004) “The Urbanization of Justice Movements? possibilities and constraints for the city as a space of contentious politics”, Space and Polity 8 (2): 119-135. Walter Nicholls and Justin Beaumont (2004) “Guest Editorial: The Urbanization of Justice Movements”, Space and Polity 8 (2): 107-117. 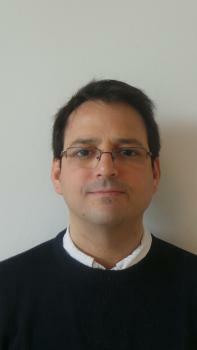 Walter Nicholls (2003) “Poverty Regimes as Constraints on Urban Democratic Politics? Lessons from Toulouse, France”, European Urban and Regional Studies 10 (4): 359-372. Walter Nicholls (2003) “Forging a ‘New’ Organizational Infrastructure for Los Angeles’s Progressive Community”, International Journal of Urban and Regional Research 27 (4): 881-96.